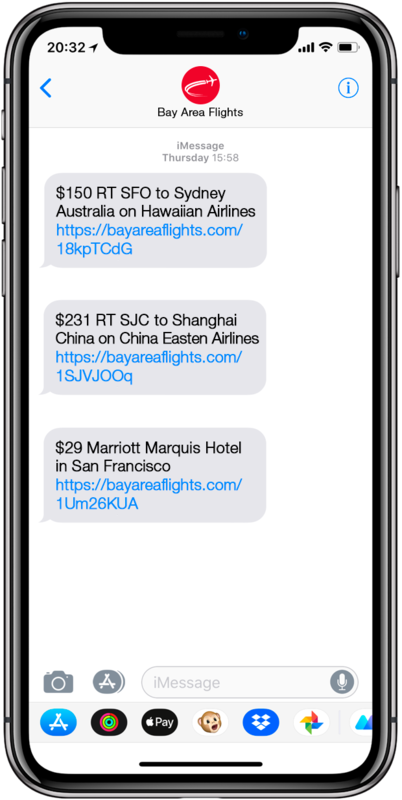 Many deal companies only send emails about deals, which sometimes are received too late, and aren't even focused on your local Bay Area airports. 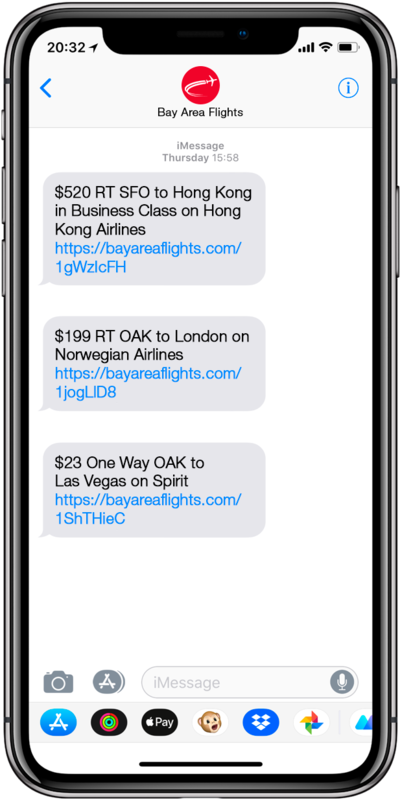 Get the best of the best deals instantly via text. Get insane deals on airfare and other travel bargains around the world from SFO, OAK, and SJC airports. We'll send you only relevant deals (SFO, OAK, SJC). No spam. "Bay Area Flights helped me book 6 round trip BUSINESS CLASS tickets to Bangkok from SFO for $550 each"
"I love Bay Area Flights because I have gotten so many amazing deals I've never seen anywhere else. I regularly visit vegas for under $50 round trip, and have gotten tickets to Europe for under $200 round trip"
"Bay Area Flights is a must have for anyone who would like to travel and lives in the bay. They focus ONLY on deals out of the bay area that meet their specific deal criteria. You wont get a bunch of garbage like other travel deal sites send out"